Turkmenistan restructures its energy industry, Tajikistan’s stateless cling to Soviet passports; recommended reads. Stateless in Tajikistan: Although the Soviet Union dissolved 25 years ago, there are still people in Central Asia carrying Soviet passports.The BBC‘s Abdujalil Abdurasulov visited a district in Tajikistan with the highest number of registered stateless people in the country. In a brief video, we meet a woman without a state who cannot travel, go to school, get a work permit, get a loan, or visit a hospital. “If you go anywhere, they ask for a passport,” she says. Kevin Allen of UNHCR Tajikistan says in the video that it’s unknown how many stateless people there are in Tajikistan. A pilot program registering such people in three districts in Tajikistan counted 20,000 in a single year. Kazakhstan’ Community Outreach: Following unprecedented protests over Land Code changes this spring, Astana formed an outreach commission to open its ears to the concerns of Kazakh citizens. 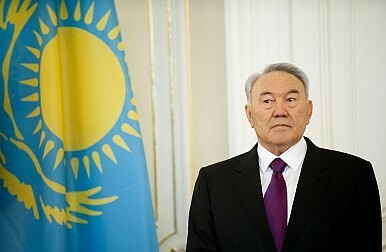 But as Aigerim Toleukhanova reports for EurasiaNet, those efforts seem set to wind down early with President Nursultan Nazarbayev urging the commission to finish up by the end of August, rather than the end of the year. “There is an increasing sense that the government is struggling to… negotiate its way out of the dense web of feverish conspiracy that it concocted as a way of killing off the protest movement,” Toleukhanova writes. Members of the public at the commission session painstakingly pointed out a glaring inconsistency that the government has tried very hard to avoid noticing — namely, that the protests were born out of genuine social frustrations and had not been spirited out of thin air by a sinister operator. Many applauded Nazarbayev for setting up the commission–a good move to defuse tension–but held their optimism in check as the commission would be only as valuable as its ability to hear, understand, manage, and channel public concerns into the policymaking process. A mimicry simply won’t do. The Kok Zhailau Problem and Kazakh Civil SocietyMarking a Year After Protests in KazakhstanKazakhstan: Oil Workers Strike in ZhanaozenWhat Happened to Turkmenistan’s Tiger Economy?Is Turkmenistan Opening Up?